(Up panel) Contours plot of flow around a non-spherical particle; (Down panel) drag coefficients for ellipsoid paticles at different Reynolds numbers compared to reference data(M. Wu). 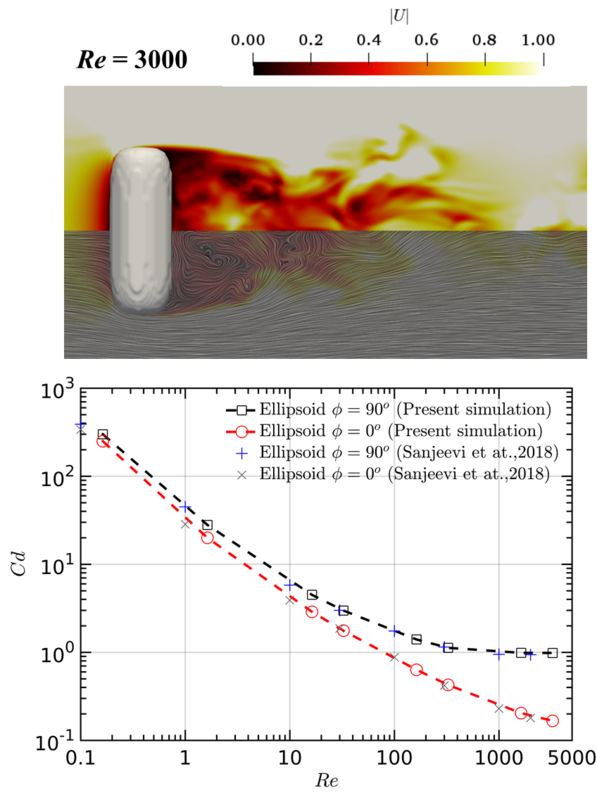 The objective of this project is to develop a numerial predicting platform to the resolved DEM-CFD fluidized beds, considering the momentum and heat exchange. The basic idea for the discrete particle is based on immersed fictitious domain method which considers the solid domain as a fluid phase subjected to a rigidity constraint. In this approach, a continuous forcing term, the magnitude of which depends on the relative velocity between the fluid and the solid, is applied into the fluid with the solid domain to take into account the solid motions. This approach is then be extend to superquadrics particle to extensive particle shapes (i.e. ellipsoid, cylindrical particle, cone, etc). The project is in cooperation with the group of Professor Harad Kruggel-Emden from TU Berlin. The simulation methodologies of our side (Luxembourg University) are based in DEM-FVM approach, while TU Berlin employing DEM-LBM approach. In the end, results from both sides will be compared, analysed and concluded to try to answer the questions which were proposed in our research proposal. In general, we aim at answering the following questions: 1) How are the two methods differing in the accuracy and runtime behaviours with momentum and heat exchange. 2) what is the resolution on flow side in these two approaches when using the Immersed Boundary Method (IBM) and what interpolating boundary conditions required for both. 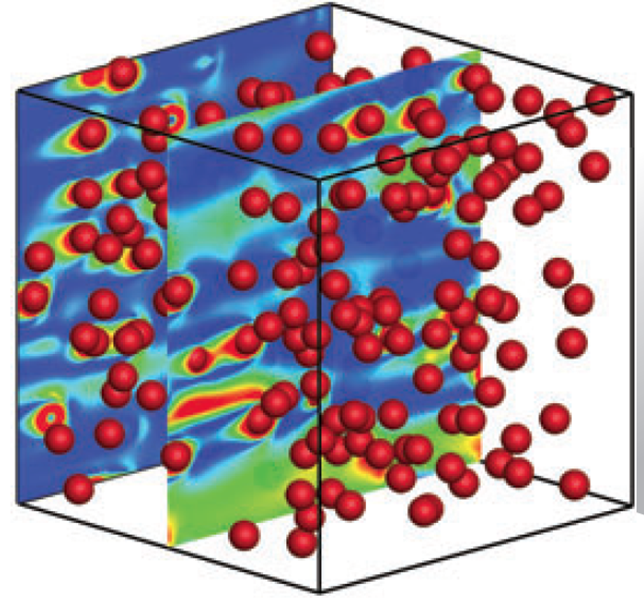 3)How to couple the fluid/particle forces and heat transfer between resolved DEM-CFD and unresolved DEM-CFD.